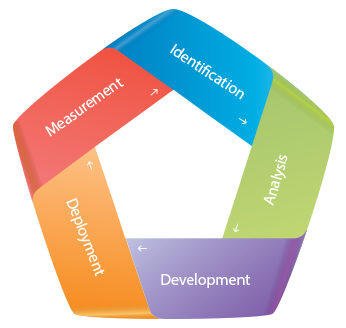 Stixis offers a diversified range of conventional yet professional software development services based on proven methodologies and practices to industry leaders, both large and small. Our service offerings concentrate on our clients specific requirements in the perspective of each development cycle, thus ensuring the finest and professional utilization of available resources. Our clients hire us to do things better, which is different from hiring someone to do things cheaper, or what they can do themselves if only they had the time. To live up to that standard, we have to know more than anyone else in the market about technology, the science of software engineering, the industries we serve and our client’s business. And we never stop learning. 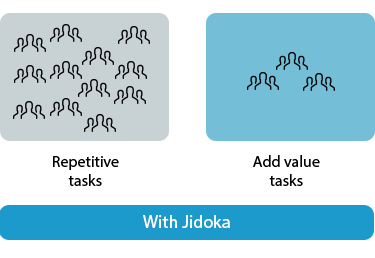 Stixis delivers state-of-the-art Enterprise Business Process Autonomation (EBPA) services and solutions applying Jidoka's RPA technology for the development and orchestration of software robots. 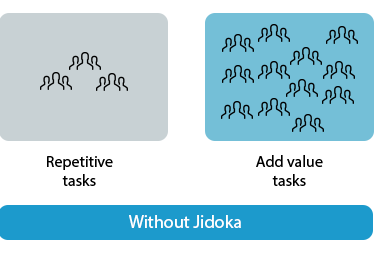 Using a RPA (Robotic Process Automation) approach, Jidoka deploys in companies this new paradigm of "Software Robots", programs that replicate human behaviour using computer applications: reading data and images on a screen, moving the mouse, introducing key commands, etc. Software Robot technology (also known as RPA or Robotic Process Automation) represents a new paradigm in business process automation. Robots are programs that control other applications to perform repetitive and rule-based tasks. They allow people to focus their efforts on activities that require creativity and cognitive interpretation. Similar to the manufacturing sector, where robotics revolutionized productivity and quality, Software Robots are transforming the way companies manage their back and front office processes, drastically improving accuracy, speed and efficiency. The main difference from the traditional automation lies in its non-invasive nature. Robots do not have direct access to databases, or have to integrate with systems, web services or APIs. All communications are via user-interfaces or applications windows, in the same way that people do it: moving the mouse, clicking on menus, entering keyboard commands, reading data on a screen. A significant amount of time and resources are invested by companies in tasks that cost a lot of money an add little value, such as managing multiple spreadsheets with information collected from existing systems or "copy-paste" data between applications. Our motto is: "Automate whatever is automatable at a competitive price". » How many times is the process executed? » How long does it take a person to do it? » How many applications are involved in the process? » How many different variables could you find in any task of this process? » Is it necessary to automate every variable? The key to our approach is reading a huge amount of information (input) from one or more applications, processing it with Jidoka robots applying predefined rules and returning it in a adequate format suitable for further analysis, or even introducing data in other systems (output). www.jidoka.io, did not happen by chance. It represents the input-output approach that every robot must apply. To deploy automation we apply an iterative and incremental approach based on "quick-wins". 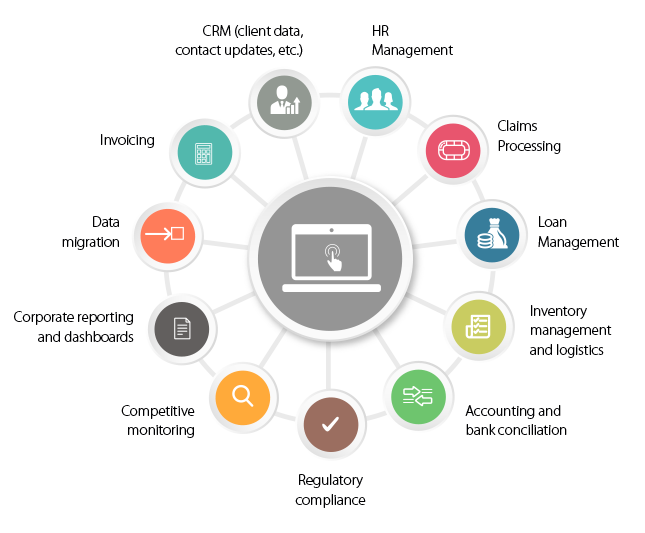 We help our client to identify a catalogue of processes that can be automated and select those that can provide greater value at a lower cost of development and deployment. By delegating some of your tasks to robots, you will be able to manage spikes in activities simply running some extra robots. No more investment in training, and no learning curve: train your robots to be productive from their initial set-up. Robots do not "understand" information thus they can have access to confidential data (medical records, bank accounts, etc. ), ensuring that privacy will be respected at all times.